For most users, the launcher icon (sometimes referred to as the app icon) is the first impression of your app. As higher density screens on both phones and tablets gain popularity, it's important to make sure your launcher icon is crisp and high quality. To do this, make sure you’re including XHDPI (320dpi) and XXHDPI (480dpi) versions of the icon in your app. Launcher icons are 48dp square and should be provided for MDPI, HDPI, XHDPI, and XXHDPI densities—at the very least XHDPI and XXHDPI. The 512px Google Play listing icon should have the same content as the launcher icon, except for minor additional badging. Launcher icons should be designed specifically for Android. As per the Pure Android design guidelines, avoid mimicking visual elements and styles from other platforms. Launcher icons should be three-dimensional, front view, with a slight perspective as if viewed from above, so that users perceive some depth. Launcher icons should have a distinct silhouette, meaning that you should avoid simple square/circle icons and instead opt for unique shapes. Launcher icons should be simple at the macro level but still detailed at the micro level (e.g. include subtle edge effects, gradients and textures). Launcher icons should employ lightweight background protection such as a subtle drop shadow, but it should not be too dark or visually prominent. Launcher icons should include between 0dp and 3dp of padding. Vary the padding for optical alignment and weight normalization purposes (e.g. thinner icons can use smaller padding and thicker icons can use less padding for a more consistent icon mass across icons). Note that tablets and other large screen devices request a launcher icon that is one density size larger than the device's actual density, so you should provide your launcher icon at the highest density possible. For example, if a tablet has an XHDPI screen, it will request the XXHDPI version of the launcher icon. Ice Cream Sandwich (Android 4.0) is our biggest redesign yet — both for users and developers. We’ve enhanced the UI framework with new interactions and styles that will let you create Android apps that are simpler and more beautiful than ever before. To help you use great UI in your apps, we’re introducing Android Design : the place to learn about principles, building blocks, and patterns for creating world-class Android user interfaces. Whether you’re a UI professional or a developer playing that role, these docs show you how to make good design decisions, big and small. The Android User Experience Team is committed to helping you design amazing apps that people love, and this is just the beginning. In the coming months, we’ll expand Android Design with more in-depth content. And watch this blog for a series of posts about design, and invitations to Google+ hangouts on the topics you care about most. 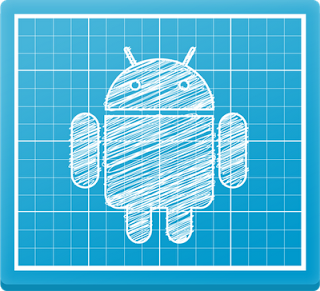 So head on over to Android Design , and make something amazing!